What should you know about 3D Flooring Before Buying and How to install 3D floor art yourself in your home, hotel, business place, or club, 3D epoxy flooring cost, Three-dimensional flooring designs ideas for each room by global designers. All you like to see and could not find, it is possible that we design it for you anywhere; at your home, at your company or anywhere you want, by the world of creativity named 3D epoxy. 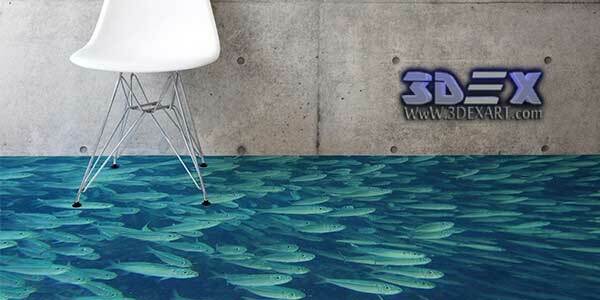 What is 3D Flooring in the interior? The 3D flooring is the new technology and excellent high-quality flooring is the three-dimensional figures which can be used on all types of floors and walls, This is a recent innovation in the installation of floors. 3D epoxy is a selection of colors and materials to create decorative flooring coating with a strong and durable coating and a unique and creative image making your place as a paradise. 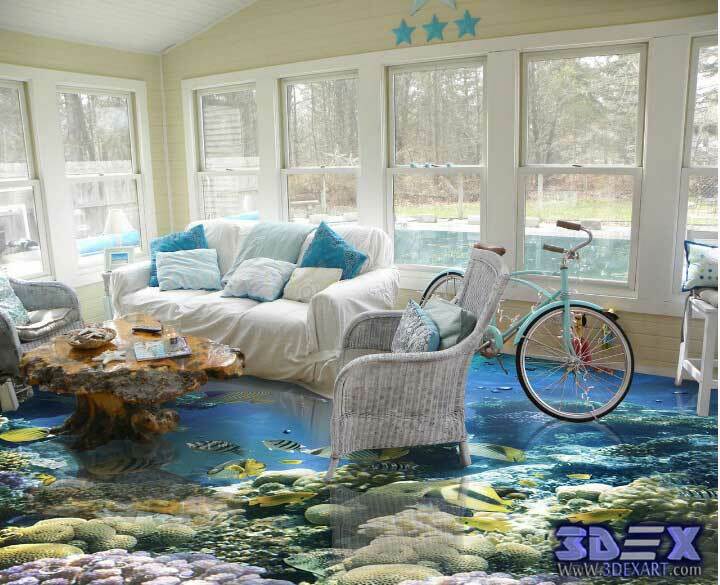 The 3D Epoxy Flooring is a new revolution in the world of interior and exterior home decorations. 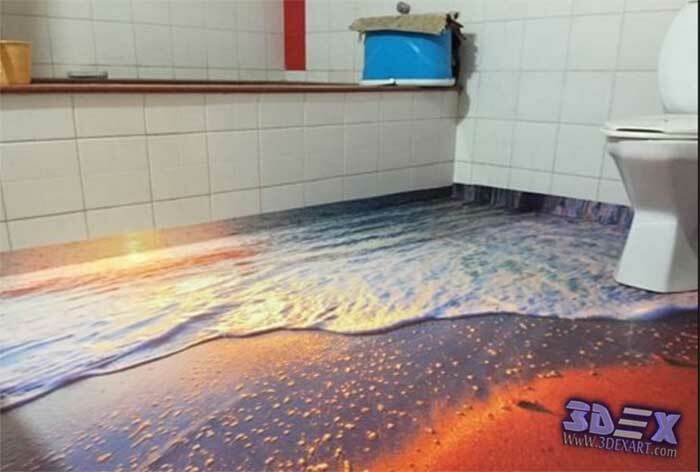 What is the 3d Epoxy paints? Epoxy or (Resin Epoxy) is a chemical substance, considered one of the types of solid thermoplastic elastomers. With two boats: the basis of (resin) and cross (hardener) which is highly resistant to adhesion and friction, chemicals, whether acids or bases or solvents, where an insulating layer is formed when is dry, and it is used in paint. used in wood, cement, metal surface, concrete, but it is most often used on concrete floors in commercial or residential garages, airports, factories, hospitals, hotels, houses, halls of wedding and restoration of columns and corridors and ceilings and addition of three-dimensional technology has become the latest decorative arts in the world. Is the 3d Epoxy safe? Epoxy-Coat is approved by the USDA as safe for commercial, institutional and residential applications. All the materials are safe so please don’t worry about using Epoxy-Coat’s product is perfectly safe for any other application. Don't get acid on your shoes, wear protective boots. Always wear Eye protection and a proper respirator when using "fizzing Acid"﻿. Don't blow acid water around the room with a power washer. Many designers use 3D technology for giving vent to their creativity. Solves many design problems of any premises in small and large places. The coming years will witness widespread uses for epoxy paints and polymers because of their many advantages. Because it is characterized by its strength, hardness, a transparent material, a buffer completely waterproof, high quality and valid for many years. The 3D epoxy flooring is a new revolution in the world of interior and exterior of your home. Many of the designers of the world compete to dazzle people by unique designs. 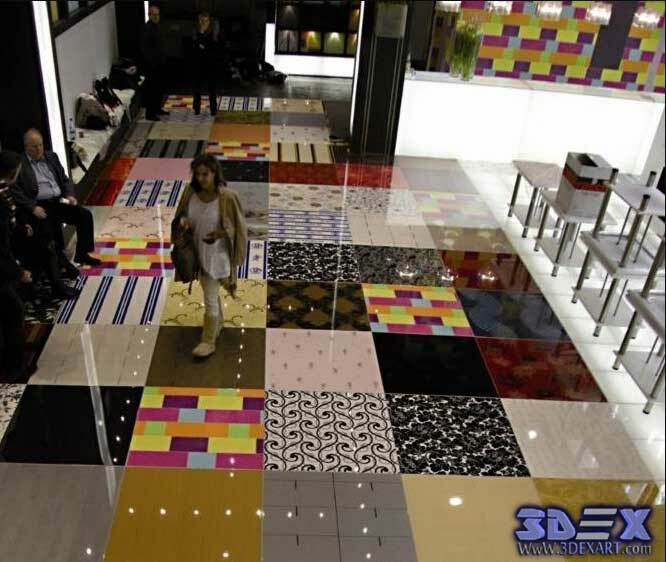 Easy to design in all the places and the purposes such as houses and malls, restaurants and companies. Suitable for all ages of both sexes. There are no phenomenon breaks and be one piece. Resistance to moisture and buffer excellently. Gives you a glass surface glossy. You can draw, plan and Paint three-dimensional effects on them. It can be easily cleaned and it is non-slip even when wet. 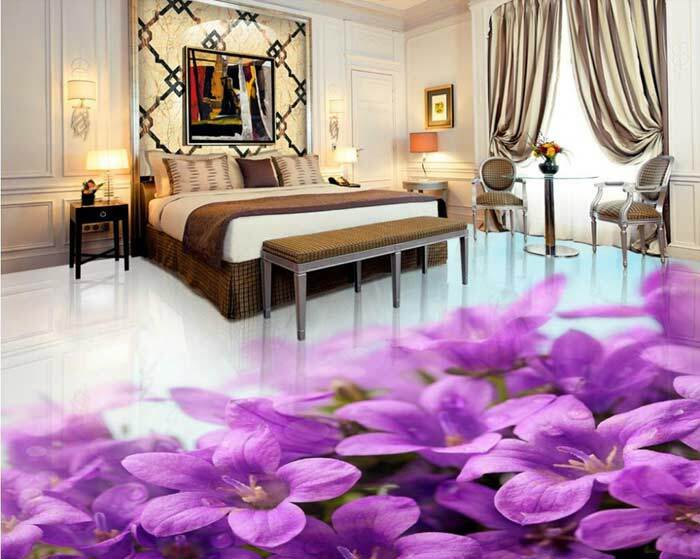 The latest trend in the world of decor world of art and creativity. 1- Murals: (Wall Murals & Stick Murals, and wallpaper murals) Both are easy to install and remove on the walls. The wall murals Created with high impact art and featuring larger designs of favorite themes and characters. The Stick Murals are printed on high-quality vinyl. These large graphics measure up to 5 feet wide. 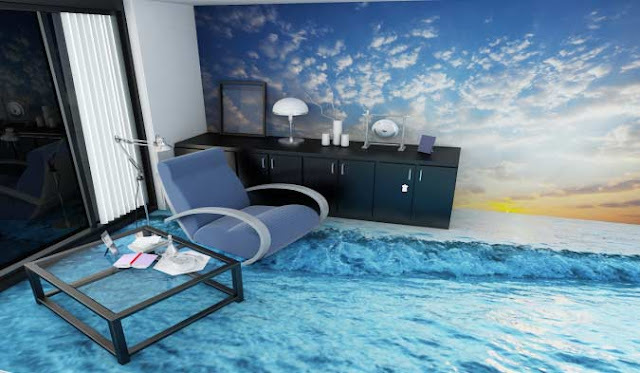 The wallpaper murals: are printed on TM material, it can measure up to 15 feet wide and make a dramatic impact. 2 - Patterns: are a model or design used as a guide in needlework and other crafts. 3- Metallic: This new type of epoxy allows to turn your concrete into the look of copper, silver, aged bronze, nickel, and other shimmery patinas. Some of these coatings contain real metallic powders, while others use special reflective pigments. 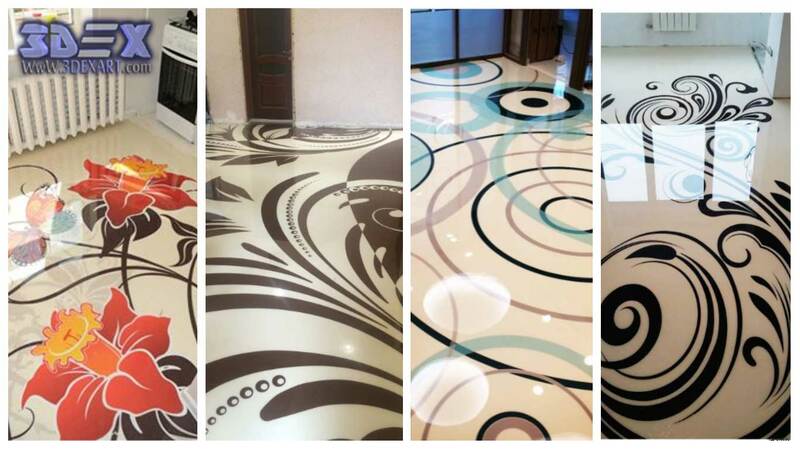 It is a popular choice for decorative flooring because of the most important advantages is durability, difficult to break, and bear heavy weights, it can also be installed on ceramic or old floors and this is one of the most cost-effective solutions for anybody. It is a waterproof and with clear breaks. 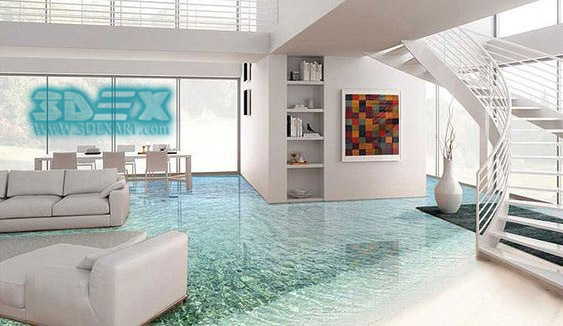 Difficulty cleaned ordinary cleaning materials reverse 3D epoxy flooring. There are some known problems with other floor covering, such as ceramic and parquet flooring, glass flooring, glass which are scratched, prone to breakage, and moisture. No breaks out like tiles, porcelain tiles or parquet. Excels on all floors coating products as given sterile surface cannot be obtained by other products and this is what made him the ideal product in hospitals and factories. Ease of maintenance, restoration, and change, unlike other products. Transparent material glossy, shiny and non-porous. High quality in terms of shape, hardness and bright colors option compared to the price makes the place as alive. 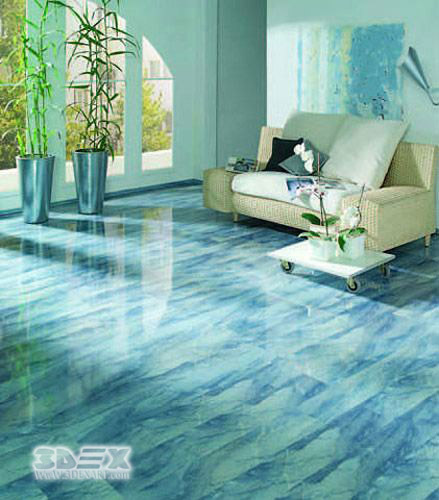 Freedom of choice in any landscape or design of the flooring. Environmentally friendly flooring for commercial and industrial buildings. 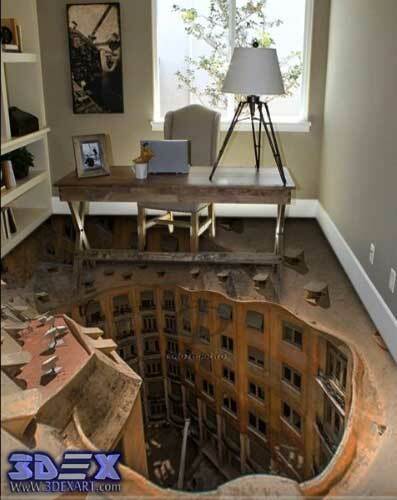 Makes flooring smooth very soft, scratch-resistant. Could be drawing them, planning, Paint, and three-dimensional effects, according to the different senses. Characterized by the availability of colors and glossy surface of the glass. A strong, solid, non-slip and easy to clean. 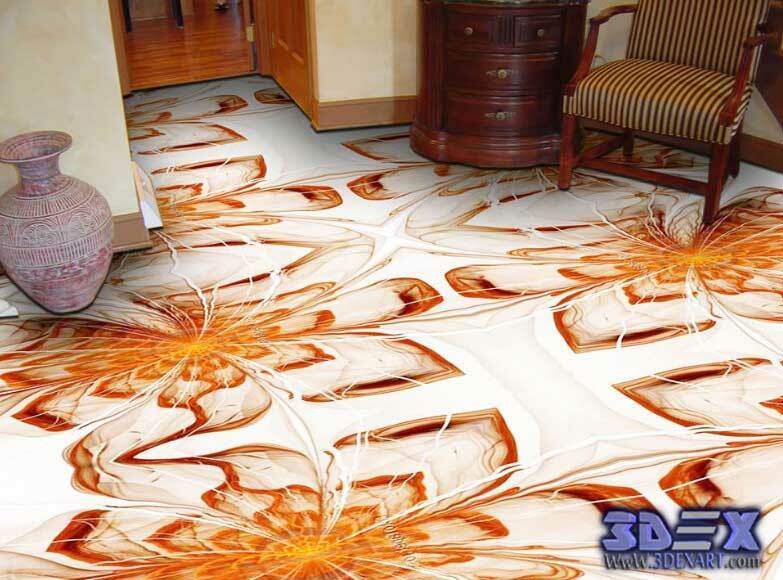 Epoxy treatment of breakage or scratching is much easier to deal with another flooring such as ceramic, which needs to be treated for cracking.New 3D flooring designs and ideas for each room. There are many diverse and unique designs to suit all places such as rooms, kitchens, bathrooms entrances, offices, and hotels it is easy to design the floor or walls with a big 3D image but in the rooms and special places should be take another look from decoration like the bedroom it is best to characterized calm and quiet colors, but the children's room allowed the bright colors on the floor in the smooth lines, for the office it is necessary to design in lines and geometric angles finally the image is best guided to express relaxing scenes,, calm beach, aqua, sky, green grass. 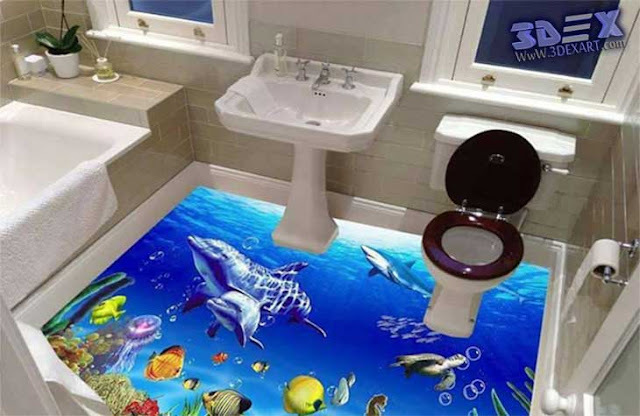 to know more: How to get 3D bathroom floors in detail? 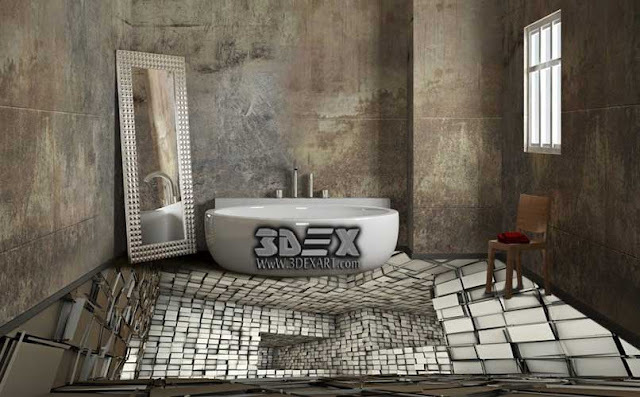 The bathroom is one of the coolest places to use this type of flooring so you can turn your bathroom into whatever you wish by using angled photo and multiple transparent layers in 3D epoxy flooring. 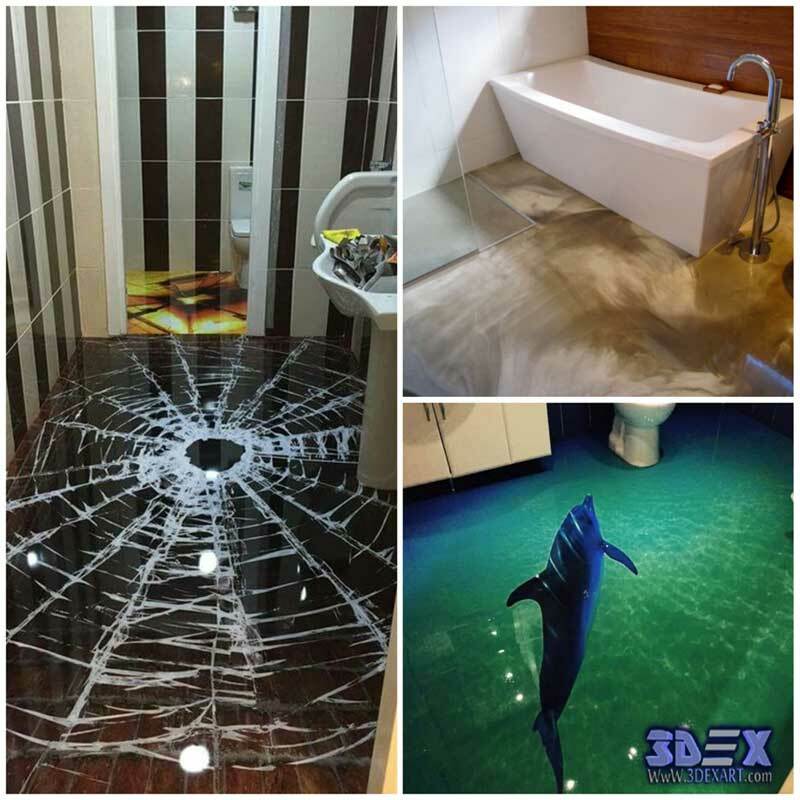 Because of the moisture, water leakage in the bathroom the best solution is 3D epoxy due to many advantages, such as gloss, hardness, and moisture-proof also, easy-care a self-cleaning and gives an amazing view of the bathroom. 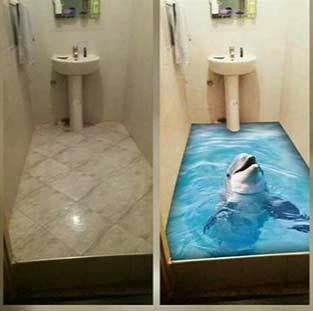 You can add the epoxy without removing your old tiles. 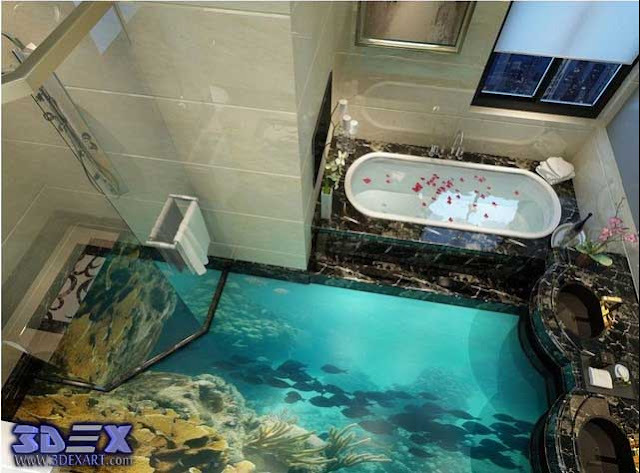 You can turn your bathroom into a spa -like an oasis by 3D epoxy flooring you will enjoy your time with decoration scenic. 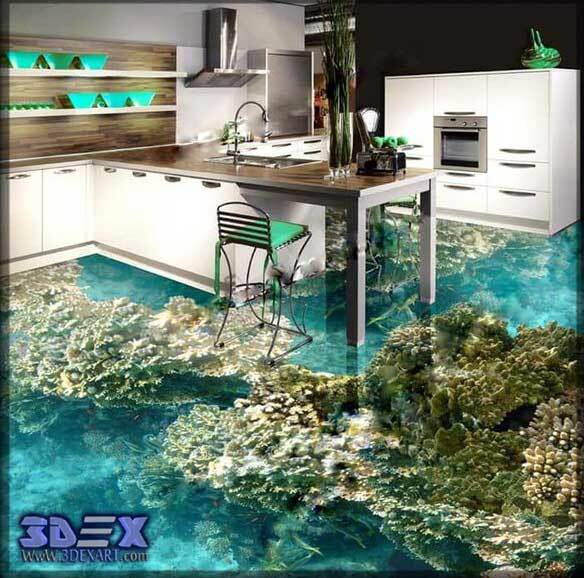 turn your kitchen into An amazing piece of art with the 3D flooring technology , The flooring incorporates angled images along with multiple translucent layers to achieve the incredible 3D effect, there is no comparison at all between it and cover of other floors in terms of art and design, it takes you into a world of imagination which let you enjoy the daily work in the kitchen, in particular, the lady who spent most of her times in the kitchen. The living room is a place of lounge and relaxing, the beauty of epoxy flooring hues is that they are incredibly versatile like beautify the living room, so it’s important for the living room to bring the feeling of relaxing and welcoming. 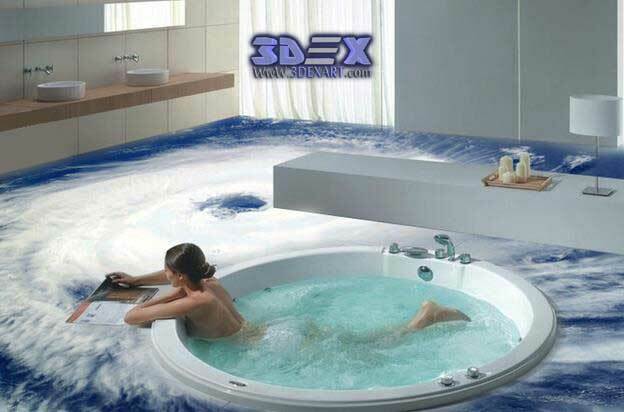 it should be comfortable and spectacular.You can be sure that the 3Dex will contribute to a calming atmosphere! 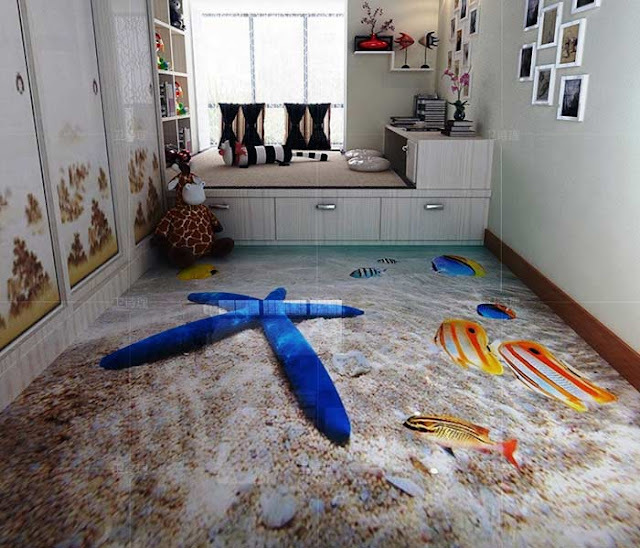 The decorating of your child's room can be just as much fun as decorating the other areas in your house, especially with the technology of 3D epoxy with all the bright designs and delightful characters, it might be more fun, there are a lot of colors and themes to choose from, you can turn the kids room or nursery into educational goals like the map on the ground or the wall. 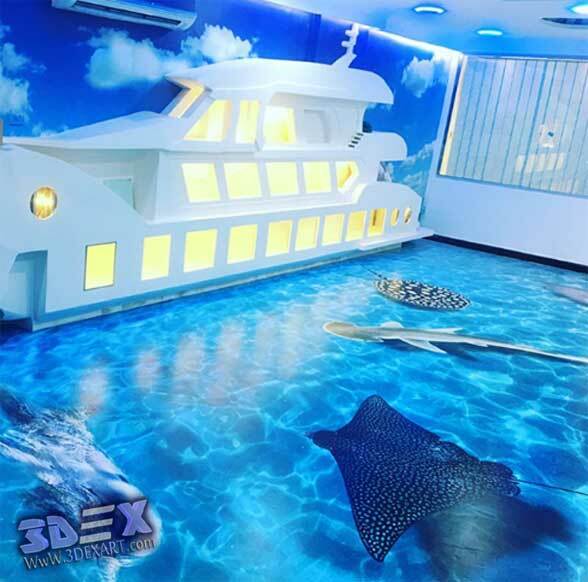 If your child dots with safari, sport, cartoon themes, why don't you bring it in their room by 3d epoxy technology. 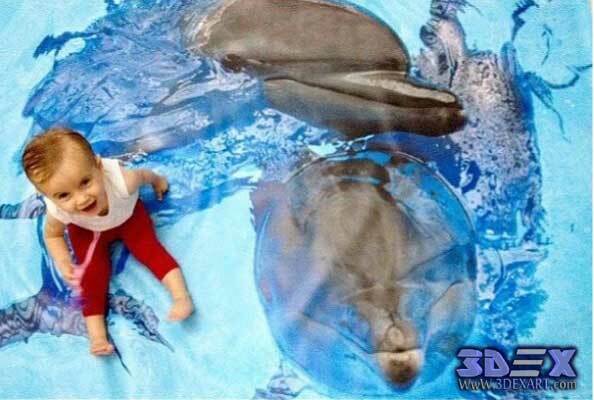 the3D epoxy floor hygiene is especially important in families where there are small children, you can not worry about the baby's health. 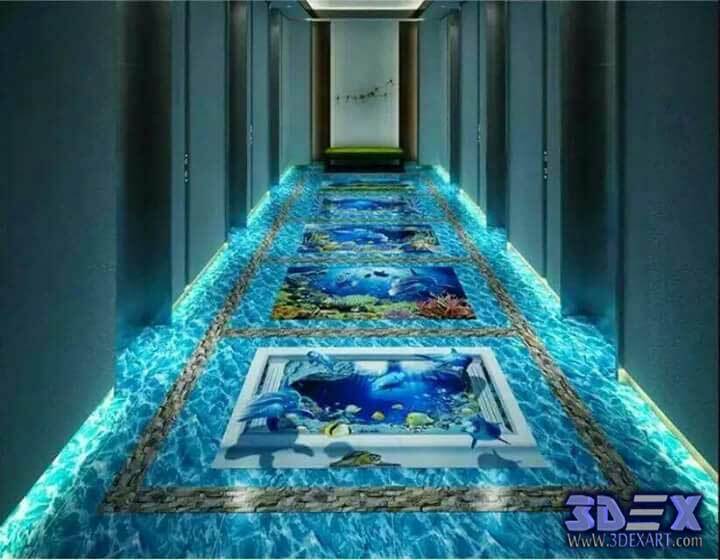 Take a look a some of hallway and entrance 3D epoxy flooring below. Today, its price range start from 100$ up to 550$ per 1 m2. This cost includes materials, use pattern (3D image, the cost of paint ...) base preparation, and installation work. Cost varies by region and what's available to your local tradespersons. prices per square meter is linked to area and workplace. The size of project area depends on dividing the area up to 500 m2 and more ). 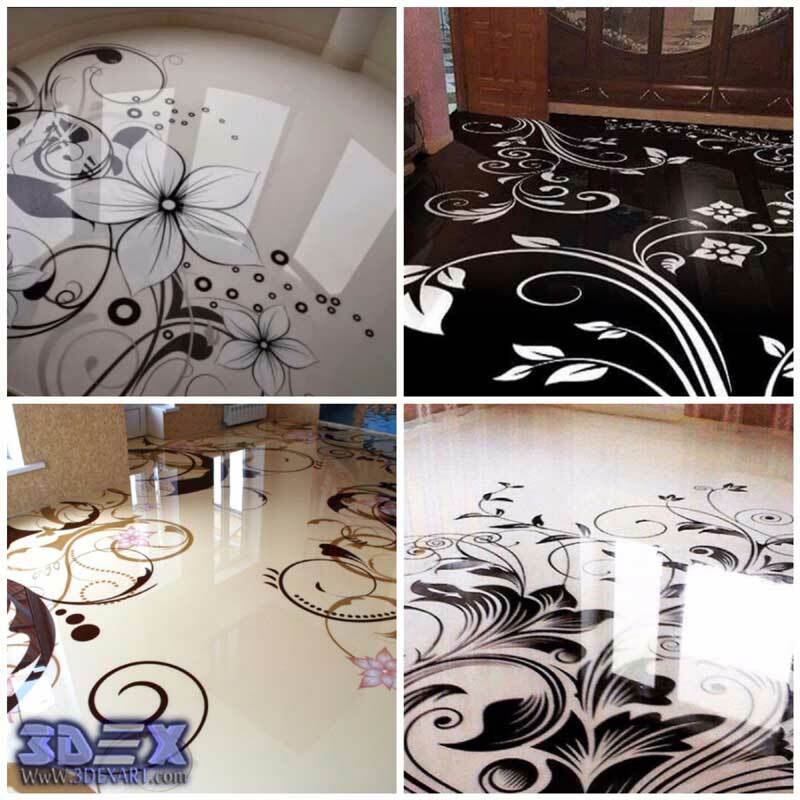 The price is linked to the decorative floor and the type of 3D epoxy flooring. 100% solid epoxy coatings, are the most expensive, and are typically used by professionals on commercial floors, The costs of epoxy can start at about $30-$50 a gallon for water-based epoxy paint, and can be $45-$150 or more a gallon for solvent-based or 100% solid epoxy coatings, may require more gallons due to A thick coatings. 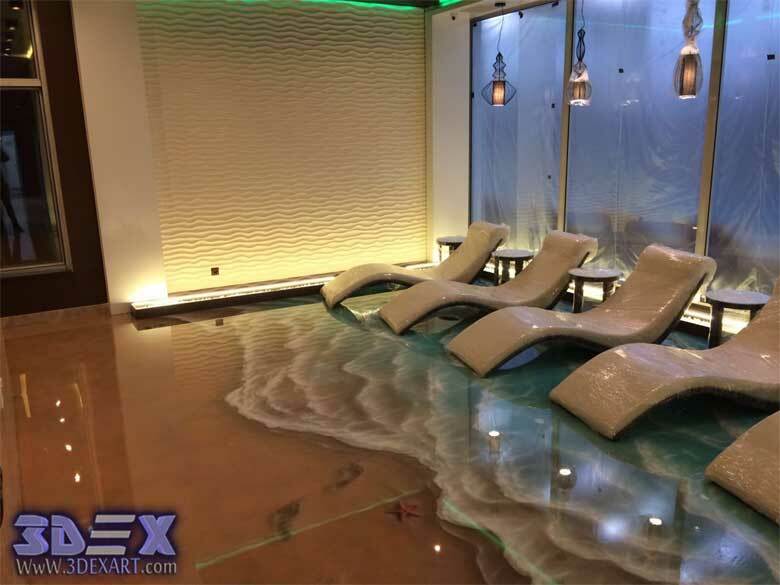 A professionally installed epoxy floor, typically costs $3-$12 a square foot, or $750-$3,000 (about 250 square feet) and $1,200-$6,000 (about 400-500 square feet), depending on the type of epoxy used and number of coats applied, and the application method (roller, squeegee, sprayer or trowel). Self-leveling 3D epoxy or do-it-yourself, can cost $50-$600 or more, depending on the type of epoxy, the square footage the kit will cover, the number of coats required and the number of tools and other materials , A solvent-resistant brush, a roller or squeegee, goggles, rubber gloves, a plastic water pail or other items may be required, costing up to $200. 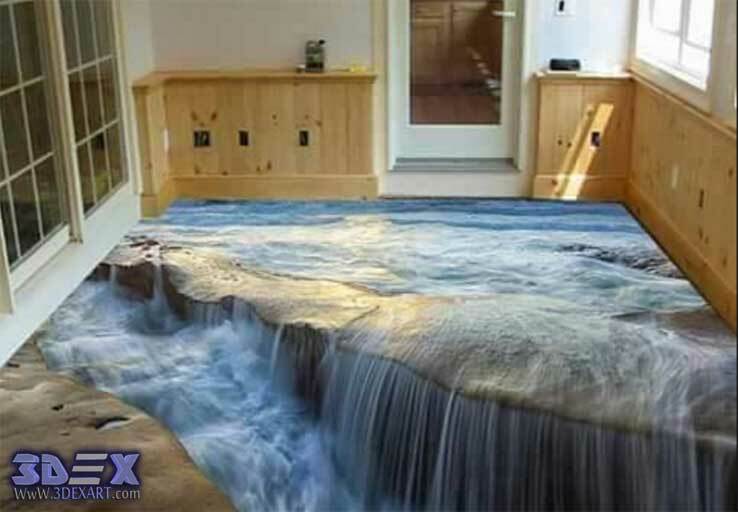 Even, if the cost of 3D epoxy might be high, however, it is able to reduce lighting and maintenance of the land and the cost of clean-up costs. surface preparation by covering minor flaws and compensate for variances. From start to finish, we take you through step-by-step to help you prepare, clean, and paint your floor with Epoxy to protect it from the years of hard work ahead. Sclerosis is mixing two compounds well at the proper temperature and the proportions determined for each type of epoxy materials. There are kinds of Epoxy, Resin, one compound solidifies by the impact of air and other three tyResin, is Hardener, and fillers of quartz. Gloves should be worn with tags due to the occurrence of certain gases as a result of chemical reactions. 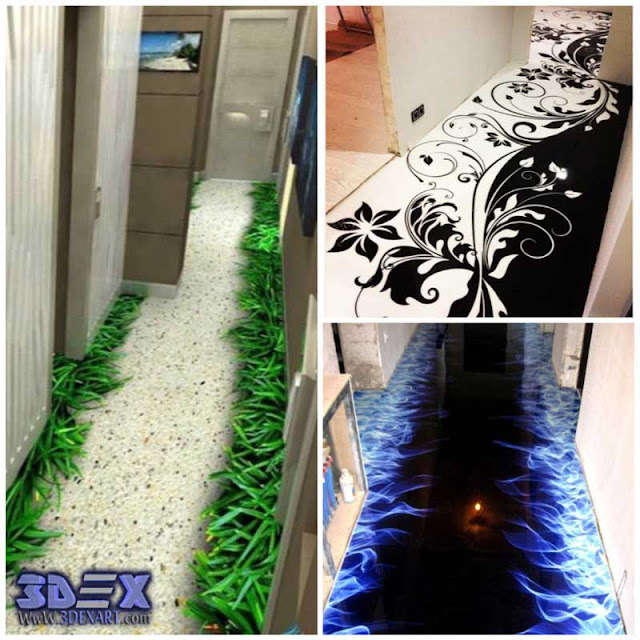 Post-processing Epoxy the surface has to be equipped paint the terms of processing bad parts of the ground, fill them and settle the surface scrub floor by grinding machine. Alcoholic textured surface paint layer based paint. How to use 3d epoxy paint? The thickness thin film, High build, Slurries, Toppings and Overlays, Polymer type, epoxy, polyurethane, polyester, vinyl ester, acrylic, methyl, meths acrylic, or others, Appearance. Pour the epoxy the required areas and distributed evenly on the ground. Use a soft brush roller to cover the ground evenly. Appearance and finishing should be smooth from art and decoration. And it can be installed in three-dimensional images with multiple colors to give an amazing fantasy image. After 24 hours of work coat primer and epoxy on the floor is installed images. It is best to use a thin thickness of the two types of adhesive, then stuck the picture on the ground by epoxy and start the air located under the picture to derail to get the flat image. The floor should be clean and free of impurities to get a flawless picture, then leave the image to dry for 24 hours. Mix transparent epoxy paint for 5 minutes with the electric drill and leave it for three minutes. Pour over the photo and distributed to every part of the earth's equally a thickness of 4 ms.
Roller divisive use of air to remove air bubbles to install the image on the ground properly. In the end, we get a transparent and beautiful image. After 10 days we get a solid, robust and scalable platform for cleaning household cleaning materials. for external places should be avoided Chemical exposure is very important. Heavy loads and direct impact require a heavier build or thicker floor system. avoiding thermal shock is an important condition that must be considered. 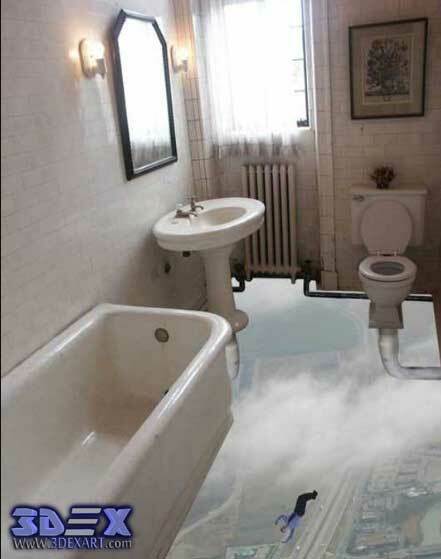 Thermal shock, such as steam cleaning of the floor surface, will cause a loss of bond from thermal expansion if the floor system is not chosen properly. 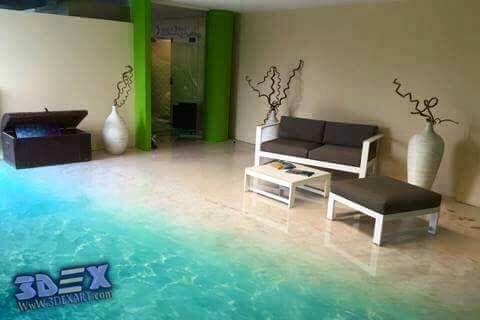 specifying a floor coating system. For internal places, wet mopping or dry is typically the only upkeep needed to avoid the buildup of dirt particles for internal places. 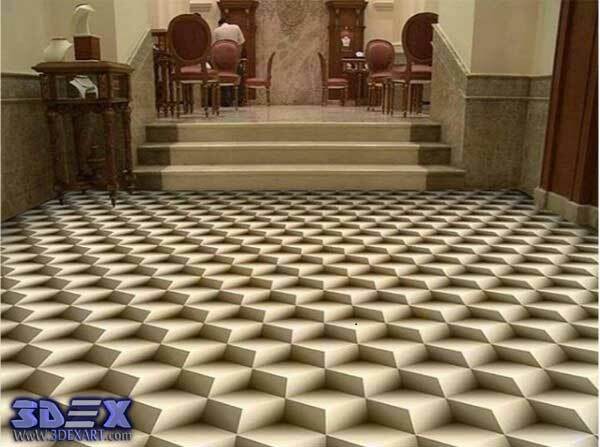 We wish to share your opinion about this new technology to cover floors or post design you may be implemented in the design of your world, or you enjoyed it. 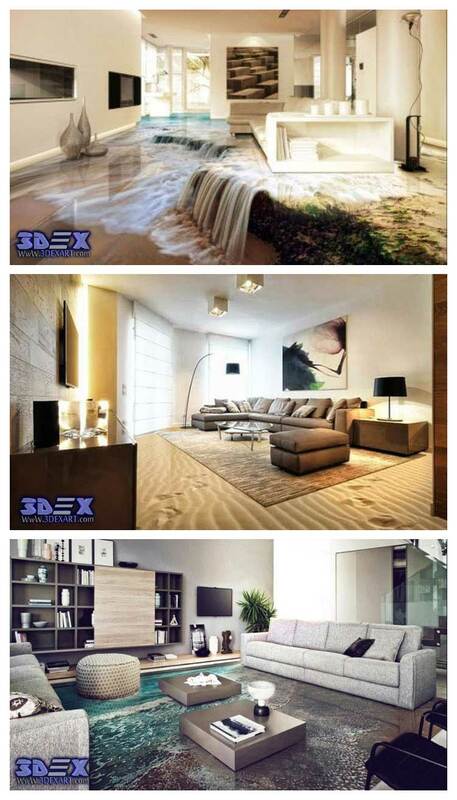 we urge to use 3D epoxy flooring three-dimensional.